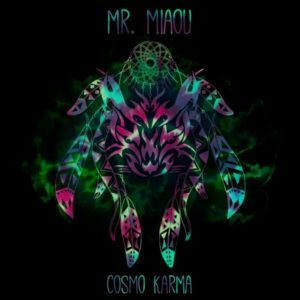 Mr Miaou returns with his second release on Solariom Records, this time taking us on a journey through the individual and collective Cosmo Karma. Produced in Ardeche in France, the artist recorded voice and guitar to go along with deep, dank, and musky psychedelic beats that pulsate at low BPMs, making positive vibes for all. Produced and mastered by Hugolus Billars. Graphic art by Agecom. MP3 Download | FLAC Download | WAV Download · Download count: 13,396. Beautiful thing! Congratulations on your unique work. Not a fan of the first 4 tracks but track 5 Vocoder is just fantastic. excellent! with headphones just awesome! The 2nd track (FLAC) is encoded wrong and has an error at 04:48 (track length is >5:00).